It’s hard to question turmeric benefits especially when used in culinary quantities; it’s when this herbal supplement is consumed for medicinal purposes in uncontrolled amounts, the problem of turmeric side effects might come into play. Turmeric side effects are quite rare and might involve upset stomach, nausea, diarrhea and might interact with certain medicines. Do not take turmeric in medicinal quantities if you are currently on a blood thinning medication since it will further slow down blood clotting process and might result in excessive bleeding especially after surgery. 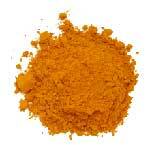 In addition, if your have gallbladder disease or gallstones, turmeric extract might worsen your problems. Turmeric side effects are especially important to consider for pregnant women since large medicinal quantities of turmeric can cause uterine contractions and bleeding. Nursing mothers should also limit turmeric use to culinary amounts because turmeric in your milk can make your baby gassy and irritable. Always consult your doctor or a naturopath before starting taking turmeric supplements for medicinal purposes to avoid turmeric side effects.